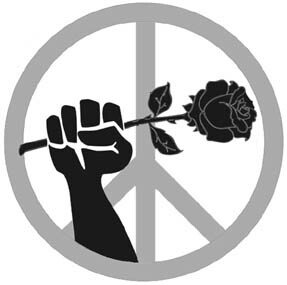 We need YOU as a volunteer for Portland's Saturday October 6 Rally/March and October 7 Teach- in "Occupy Portland, Not Afghanistan" (events starting at 12:00 noon both days). Please write or call if you can do any of these tasks. Please note in particular we need volunteers to be Peacekeepers / Stage Security! --If your organization isn't already on board with the October 6/7 events and would like to be listed as a cosponsor or endorser, let us know. Cosponsors are expected to donate $50 or more. Endorsers just say "we support your event" and your name will be added to the list (though it may be cut off of some publicity for space reasons). If co-sponsors or endorsers wish to table at the rally and/or teach-in, send $15-25 sliding scale. NEW! Deadline to request table space is Friday, September 21. Tables at the rally site are 6'x2.5', please let us know if you can share with one other group. Tables at teach-in are 8' long; due to limited area, standard space will be 1/2 table, let us know if you can make do with 1/3 table. NOTE: For various legal and political reasons, only non-profit cosponsors and endorsers may table (no for-profit businesses), and for-profit businesses and political parties may endorse, but not co- sponsor. As of August 12, there will be no sales, donations, or money exchanging hands allowed in the park blocks due to restrictions on the permit. Small sales (books, buttons, bumper stickers etc) will be allowed at tables at PCC. For information on proposing workshops for the teach-in, visit the "Teach-in" page. (501-c-3)--Peace and Justice Works / PO Box 42456 / Portland 97242. --If you have a few dollars to send our way it will help cover expenses for this event, send your check to Peace and Justice Works, PO Box 42456, Portland, OR 97242 and mark it "October 6&7 events" in the memo field. We need twenty peacekeepers for the October 6 Peace Rally and March! Peacekeepers are needed to coordinate the safety of pedestrians and automobiles along the route. This task is vital to ensure a safe and efficient rally and march. It is necessary to get coordinated before the event to go over the basics of peacekeeping and the logistics of the traffic requirements. To that end, there will be a training for those who have not done this before on Wednesday, October 3 at 6 PM; RSVP to get the location to Joe Keating 503-234-2613 or to Peace and Justice Works (iraq@pjw.info). Just basic nonviolence, de-escalation stuff, but you must attend a training if you have not before. TRANSPORTATION FOR EVENTS: We can use help transporting some large items such as sound equipment, signs, and the 10 foot model drone (with a 4 foot by two foot rolling base)-- the drone intends to appear at both the rally and teach in. If you have a vehicle and can pick it up and return it to NE 18th/Tillmook let us know! --At the South Park Blocks: Need two people or more to help be sure traffic and pedestrians and arriving folks know where to go. Help set up the sound equipment, direct Cosponsoring and Endorsing groups to their assigned table spaces, help them unload and take off quickly to park. --At the South Park Blocks: Stay at the end; help break down sound system and help groups get their literature packed away, and make sure the Park is clean. On Rally and March day (Saturday, October 6) peacekeepers will gather in the South Park Blocks in Shemanski Park. There will be a brush-up training, and perhaps an extra orientation for peacekeepers, at 11:00 AM. Dress warmly, prepared for rain. Bring a sack lunch, a bottle of water, and your cell phone if you have one. Some folks will be on security during the rally. Expect to be "on duty" at least until 3:15 PM when the march is expected to end back at the park. help pass the buckets to make more big rallies possible! --Need two people or more to help be sure arriving folks know where to go. Help set up the classrooms, direct Cosponsoring and Endorsing groups to their assigned table spaces, help them unload and take off quickly to park. --Stay at the end; help break down classrooms and help groups get their literature packed away, and make sure the school buildings are clean. After the rally is over, we will need a new home to our signs and banners, which are taking up too much room where they are currently located. --Storage area in a basement or garage, dry and secure, with its own entrance so 1-3 folks could have 24 hour access to grab things for protest actions. --Ideally this will be witin a 40x40 square block area of the Burnside Bridge so it's close-in.